Former Australian pro Iain Smith has been uploading a few classic Australian skate videos and we thought what better way to start the week than with a double feature. 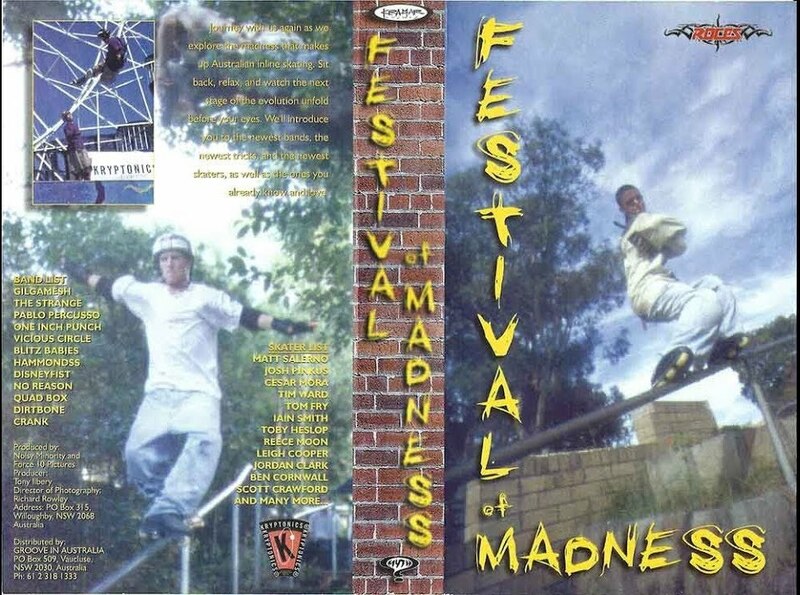 So kick back and enjoy The Yellow Brick Road (‘97) and Festival of Madness featuring some true legends of the Australian skate scene. hh-productions presents the yellow brick road. The menu for your trip down "the yellow brick road" has been selected from the finest skaters from melbourne, Sydney, Adelaide, Brisbane in Australia and Palmerston Nth in New Zealand. Music featured Area 7, Big Charlie, Craw, Egg the Mountain, Incline, Kaleidavibe, Slipheed, Thermal Skunk Rust. Lunch: Brenton Klimecki, Jordan Clark, Manuel Billrisi, Tash Hodgson, Luke Turner, Robbie Richards, Sam Fogarty. Dessert: Feature of the '97 AISC and the Australian leg of the IISS, featureing Jon julio, Hamish McCrae, Andy Cruz, Taig Chris. Journey with us again as we explore the madness that makes up Australian Inline Skating. Sit back, relax, and watch the next stage of the evolution unfold before your eyes. We'll introduce you to the newest bands, the newest tricks, and the newest skaters, as well as the ons you already know and love. Gilgamesh, The Strange, Pablo Percusso, One Inch Punch, Vicious Circle, Litzz Babies, Hammondss, Disneyfist, No reason, Quad Box, Dirtbone, Crank. Box art for both videos provided by Iain Smith.